Hyperthyroid diet: I never knew that Food therapy could be so important in Hypothyroid condition. Nutriwell made me understand my condition better and my food choices were modified accordingly. I feel healthy and my stamina level is much better now. I am getting compliments from everywhere and I am very happy with the results ..... everyone is is appreciating my looks..I would surely recommend their services to everyone. 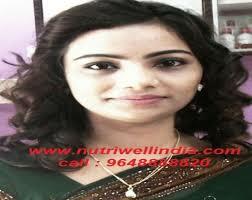 Thanks Dr Surabhi Jain and whole of team Nutriwell for the wonderful efforts that they put in their work. Definitely recommended to everyone, whatever your health condition might be, Nutriwell is bound to soulve it. Thanks for the hyperthyroid diet. Not only did my weight get regulated, but I discovered a healthier approach towards life. Check out more such stories here! Check out our other website here!